Nothing says "let's go flying" quite like 7°F! It was cold, clear, and calm at 7:30 am. I had to shovel snow away from the hangar door and Yaktrax were necessary for traction when pulling the Warrior onto the icy ramp. 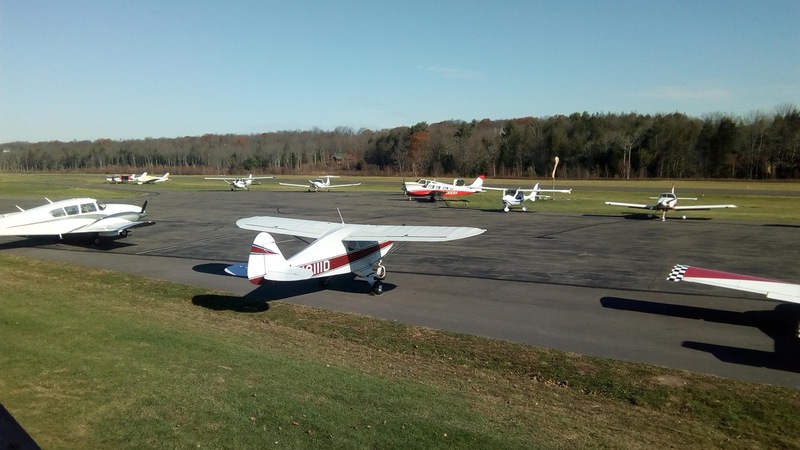 As expected, aircraft performance was outstanding and I used the time to practice some steep turns, simulated engine out landings, short and soft field take-offs and landings, and some regular-old touch and goes. It is rare to see clear ice on Sodus Bay (it's usually snow-covered), rarer still to see the reflections of morning clouds in that ice. Cold weather flying is good for the soul. There were also the usual standing secondary objectives for 2017: visit new airports, visit new states, fly more than 100 hours, and exercise the instrument rating. Let's just say that the positives outweigh the negatives and leave it at that. 137.3: Hours of total time in 2017, my highest accumulated in a single year. 10.6: Hours flown in IMC this year (total: 35.3), my highest to date even after failure of the Warrior's attitude indicator in September brought an end to IFR flying for the remainder of 2017. This is the first year that I have flown more time in actual IMC than simulated (by a fraction of an hour - I logged 10.1 hours of simulated instrument time in 2017). 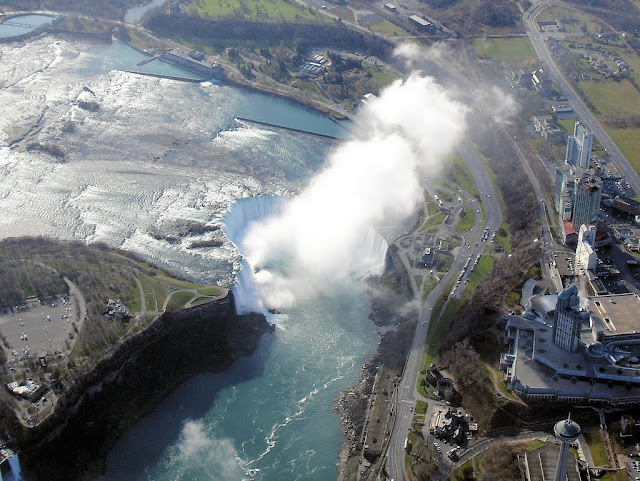 10: States/provinces visited: Michigan; New Jersey; New York; Ontario, Canada; Pennsylvania; Quebec, Canada; Rhode Island; Tennessee; Vermont; and West Virginia. 3: New states/provinces (Ontario, Quebec, and Rhode Island). 36: Total number of airports visited in 2017. 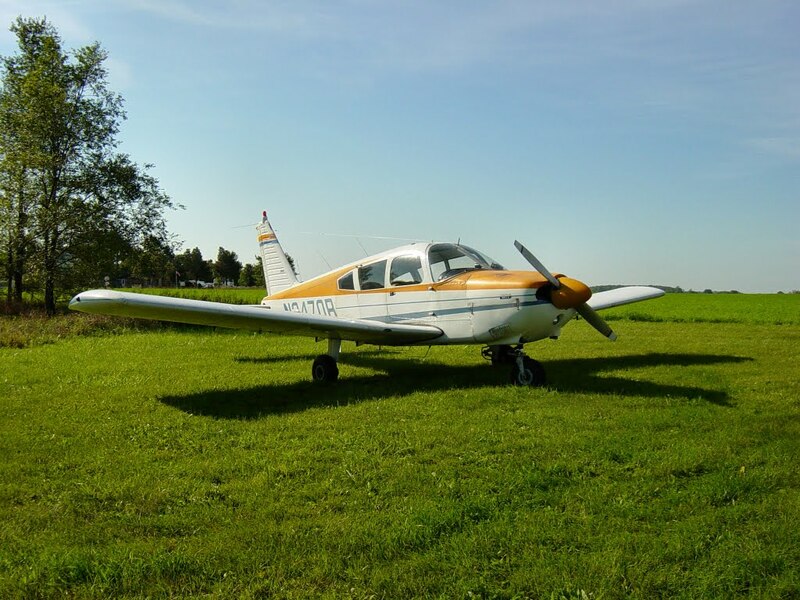 3: New grass runways sampled, two in the Cub (12N and 13N), one in the Warrior (6B9). 7.0: Hours flown as PIC in a J-3 Cub! 53.5: Hours flown with The Bear in 2017 (not including the hot air balloon time). She now has a total of 400.3 hours of General Aviation flight experience since birth! 17: People who flew in Warrior 481 with me in 2017. Thanks to Kristy, The Bear, Mom, Dad, Penny B, Terry B, Jamie O, Scott L, Leia L, Ed C (Jr), Ed C (Sr), Tom C, Joe E, Dave P, Matt P, Jack S, and Sandra S for joining in! 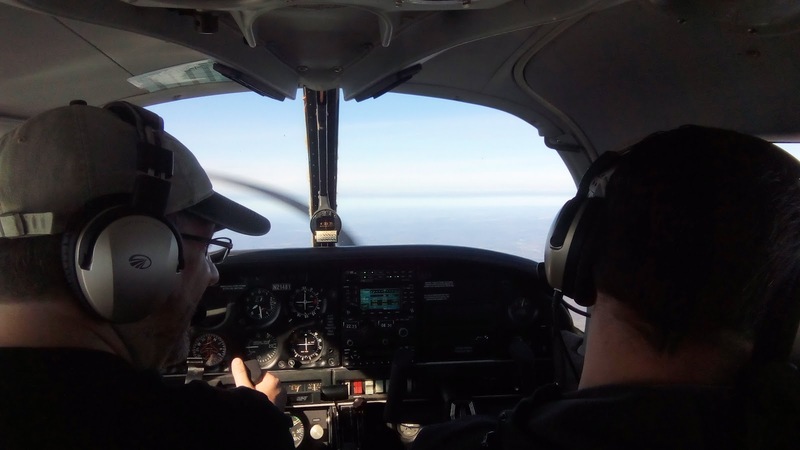 Particular thanks go to Jamie O, Dave P, Matt P, Joe E, and Tom C for serving as safety pilots during practice under simulated instrument conditions. These are my favorite photographs from 2017. Morning clouds reflected in clear ice on Sodus Bay. A Friday evening text message from Mike: "B16 in the morning, wheels up at 7:30"
It was my first invitation to join Mike, Lee, and the group of pilots that I have loosely -- and only to myself -- referred to as "The Breakfast Club", a group of Williamson Flying Club pilots who launch on weekend breakfast missions at the crack of dawn. Mike and Alan, both flying white and blue Aeronca Champs, form the nucleus of the group. Though many members of the group fly taildraggers, not all of them do. Regular participants include Lee in his Piper Colt, an honorary tube and rag "taildragger" that just happens to have a nose wheel; Ray in his Enstrom helicopter; and Denny in his Comanche. En route, the gaggle tends to throttle back to match the speed of its slowest member; Alan's Champ does 80 mph in cruise. B16, Whitford's Airport, lies 27 nautical miles southeast of Sodus. Used to being left behind by the faster Bonanzas and Mooneys in the club, this morning presented the opposite conundrum. Mine was the fastest ship in the group by a significant margin. Rather than fly a direct course like the others, I set out eastbound along the Lake Ontario shoreline and turned south at Fair Haven for Whitford's, my course describing a massive right angle over the Lake Ontario watershed. Even after the scenic detour, I still beat the Colt and three Champs to Whitford's by a few minutes. After parking, I watched them enter the pattern in trail. Family-owned Whitford's Airport does not have a formal restaurant. Nevertheless, when I entered the building there, John was busily cooking eggs, sausage, bacon, potatoes, and pancakes on a large griddle. Pilots simply toss a donation onto the counter and order what they want. 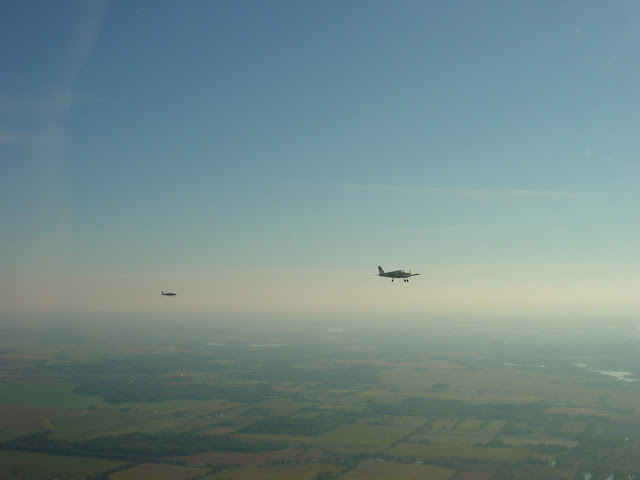 I was the only newcomer; John knew most of the other pilots by name. While there is an inclusive spirit at Whitford's, breakfast is not an advertised event. This is the kind of place that pilots learn about from other knowledgeable pilots. It is popular, though. Our contingent from Williamson-Sodus was joined by several others that included a group from Canandaigua and another large roving breakfast group from the Rochester area that I have encountered at other venues. It was a beautiful morning to fly with the taildraggers and visit a genuine grass roots home to general aviation. Lacking a functional attitude indicator (Garmin claims shipment for the G5 on December 15), I have not flown actual or simulated IFR in many weeks. Feeling that my proficiency was aging poorly -- my most recent approach in actual IMC was to Parkersburg, WV in August -- I decided to don the hood for the first time since July. As a break from the usual routine, I would need to fly partial panel for the entire duration of the practice session because...well...my airplane only has a partial panel at the moment. Tom C was willing to fly as safety pilot. 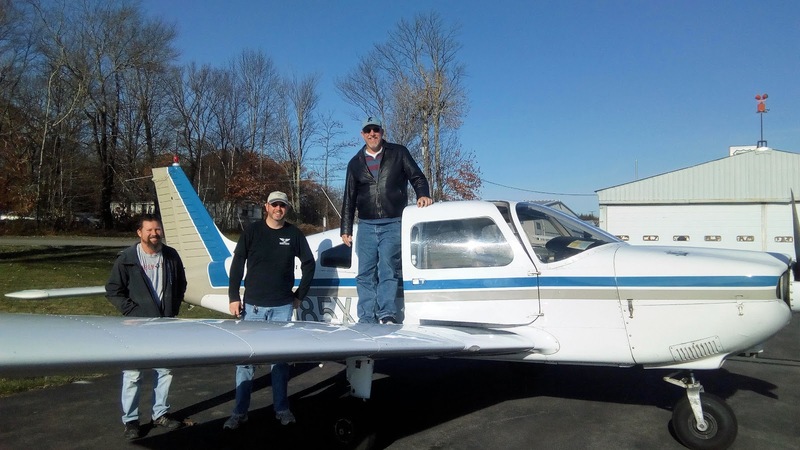 One of the perks of basing at Williamson-Sodus is that when I need a safety pilot, I usually get more offers of help than I can accept. I arrived early that morning as the sun was just breaking over the trees surrounding the field. It was glorious. I was the only one at the airport, nothing else moved except tendrils of fog dissipating over the runway. Chris' Bonanza was beautifully highlighted in the golden morning rays. Tom and I launched around 9:00. I flew a southwest heading on the Genseo 050 radial to perform an overdue VOR check. For a morning that began in such breathtaking fashion, the rest of the day unfurled in a hazy and uninspiring VFR-ish manner. 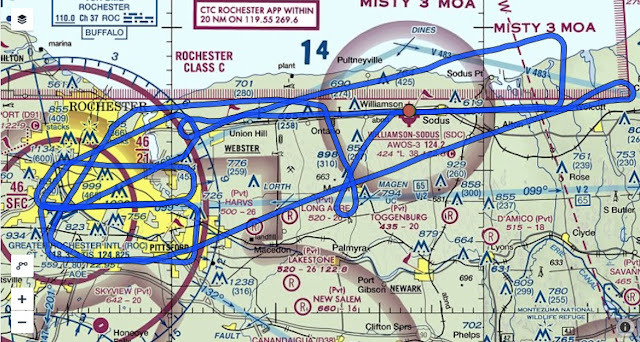 With the VOR check completed, I turned the Warrior northbound, put on the Foggles, notified Tom that he was responsible for visually clearing the airspace around us, and contacted Rochester Approach. While I was be-Foggled, Tom indicated that I was not missing much in the haze. 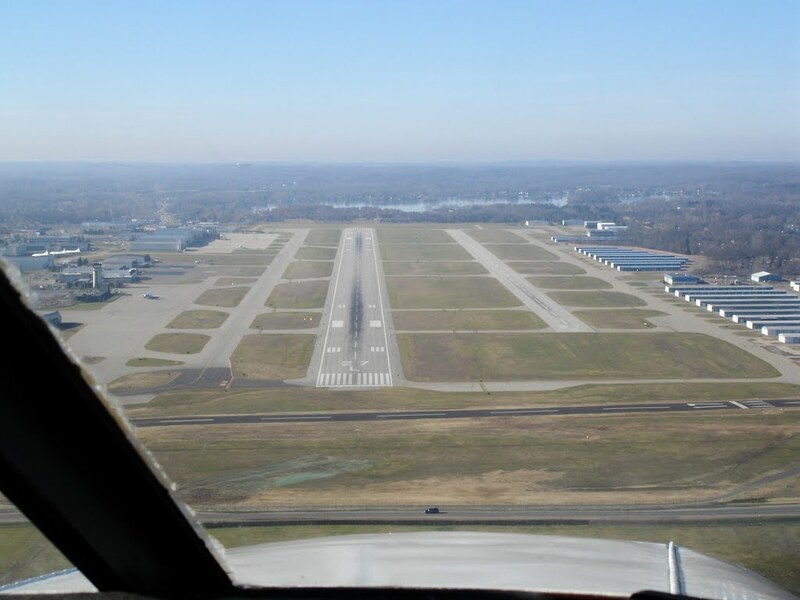 We flew Rochester's ILS-22, ILS-28, RNAV-25, and RNAV-28 approach procedures before departing eastbound for Williamson-Sodus. 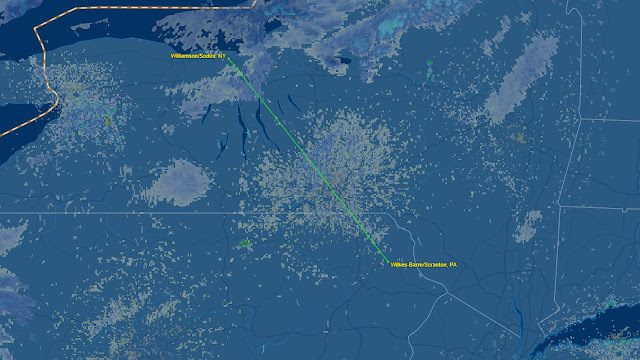 I did the hold in lieu of procedure turn (HILPT) at WALCO to establish on the Sodus RNAV-28 approach, flew the procedure to LPV minimums, then the missed approach procedure to GOYER where I established in the missed approach hold. 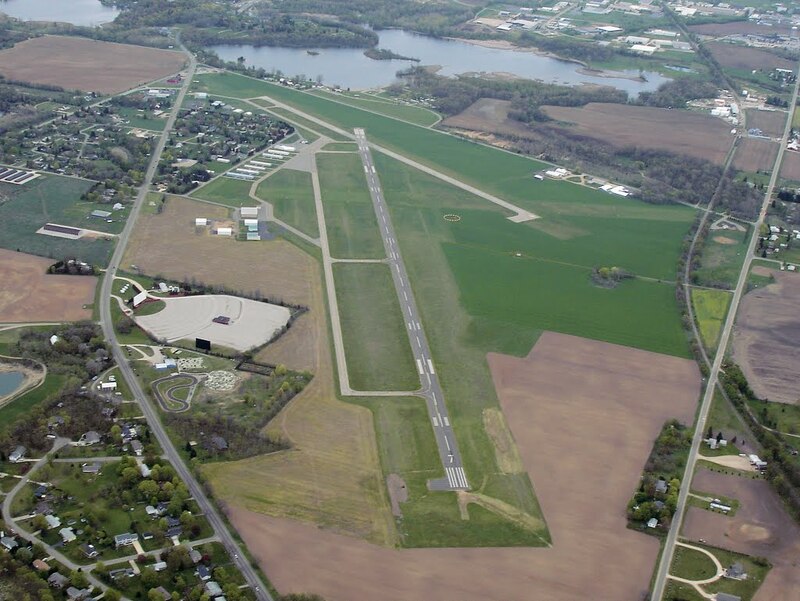 From there, I flew the RNAV-28 approach a second time into Sodus for a full stop landing. In 2.3 hours under the hood, I hand-flew six approaches, all without an attitude indicator. I remarked to Tom that I felt like I was S-turning all over the place the entire time. "It's not as bad as you think," he assured me. The ground track above supports that, though the occasional wobble is visible. My interceptions were all crisp and I did not detect any mistakes flying any of the approaches. Though my flying was not as crisp as it would have been with an attitude indicator, I was pleased with how the morning progressed and, despite a lapse of several weeks since the attitude indicator failed, I still felt proficient flying my ship on instruments. All in all, it was a satisfying way to spend the morning. I view this kind of early December practice session as being akin to winterizer fertilizer, fortifying my IFR skills prior to their going dormant for the next couple of months. Then again, as club president Steve reminded me recently, there's always the simulator.